Music by Tom Kitt. Book and Lyrics by Brian Yorkey. Directed by David Harrison. Brisbane Arts Theatre. February 23 – March 23, 2019. Am I normal? 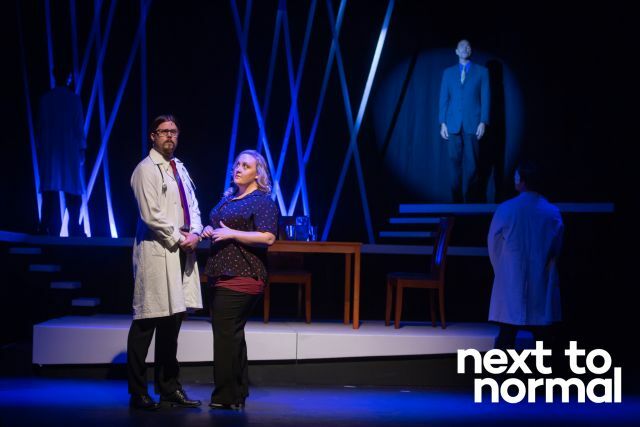 Or next to normal? 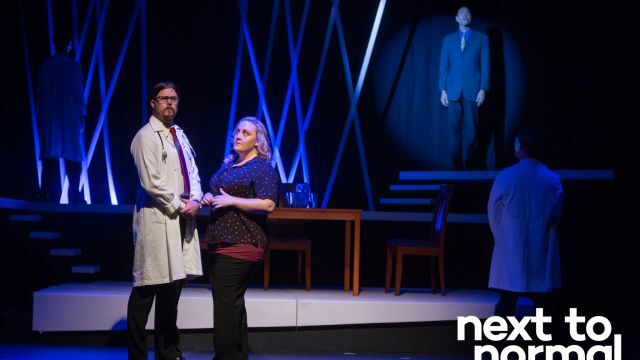 This challenging musical play posed these questions in such a way that the audience came to understand more of the mental illnesses we all can face. It centres on the Goodman family, with mother Diana suffering from worsening bipolar and depression and the devastating effect this condition has on her family. Her drug treatment has not worked and then she tries the rather dubious shock therapy recommended – but to what effect. The other family members display the effects that such an illness can have on the loved ones nearest to the sufferer. Husband Dan is the weakening strength; brilliant nerdish daughter Natalie is on a downward spiral to drugs and despair; “Son” Gabe seems stable. The success of this musical, and it is very successful, must be credited to director David Harrison for both his tight control and excellent casting. The multi–tier set was very functional. The voices were balanced by the controlled band accompanying them. The talented Carly Skelton was Diana Goodman – and I mean was – as she covered the full range of emotion and trauma of the mother with both good acting and singing. Adam Bartlett was a strong clear father while Hannah Kassulke, daughter Natalie, made us, the audience, feel the pain and stress of this type of situation. Christopher Batkin sang well as “son” Gabe. Tristan Ham, Isaac Tibbs, Tara Kenn and Rod Whittaker rounded out this consistently good cast. This is the first musical I have seen/heard where all the music was an essential part of the storyline. It was helping to make the audience listen and think of the tragedy before them; not to sing along and clap. It was unusual but very effective. This was a musical presentation which demanded the attention of the audience. This was achieved as there was complete silence throughout the performance. It was a challenging, thought provoking performance that made you think while you also enjoyed what was happening on stage. Well done Arts Theatre.